Market Mappers was established in the year 1985. We are the Authorized Distributors / Partners for Sales and service of EPABX, Fax Machines, Printers, Copiers, CCTV, Video Conferencing, Building Intercom, Fingerprint Attendance Machines, Digital Attendance Machines, etc. Within this span of time, we have managed to gain a lot of clientele in the national as well as international markets. Our products are commonly used by all kinds of organizations. Be it Large medium or small scale factories / offices or shopping malls, hospitals, schools, Government organizations etc. 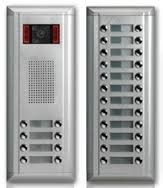 These are available in various shapes, sizes and models as per client’s specification With the evolution of CCTV technology, the emphasis has moved from simple monitoring of video footage to intelligent systems that are capable of identifying abnormal events.